For me, this wind farm is a symbol of hope that we can solve our energy problems with clean energy, sun, wind and better appliances needing less power. The out-time at Block island was also good for tanking new ideas. The three bladed windmill in the Block island farm for example will lead to a graph which is a counter example to something I first thought to be true. More to this in the end. The following story is essentially a working draft for an update to that paper. the diagonal Green function entry values (1+A’)-1xx are a combinatorial invariant of a simplicial complex G with connection graph G’ having the adjacency matrix A’. The key is a dual proposition to the key proposition proven in the unimodularity theorem. It tells what happens if we remove a cell, rather than add a cell. It is better to formulate this now in two separate proposition and keep it as a twin proposition as it can be a bit confusing first to see both together. Proposition : If G is a simplicial complex and G’ its connection graph. 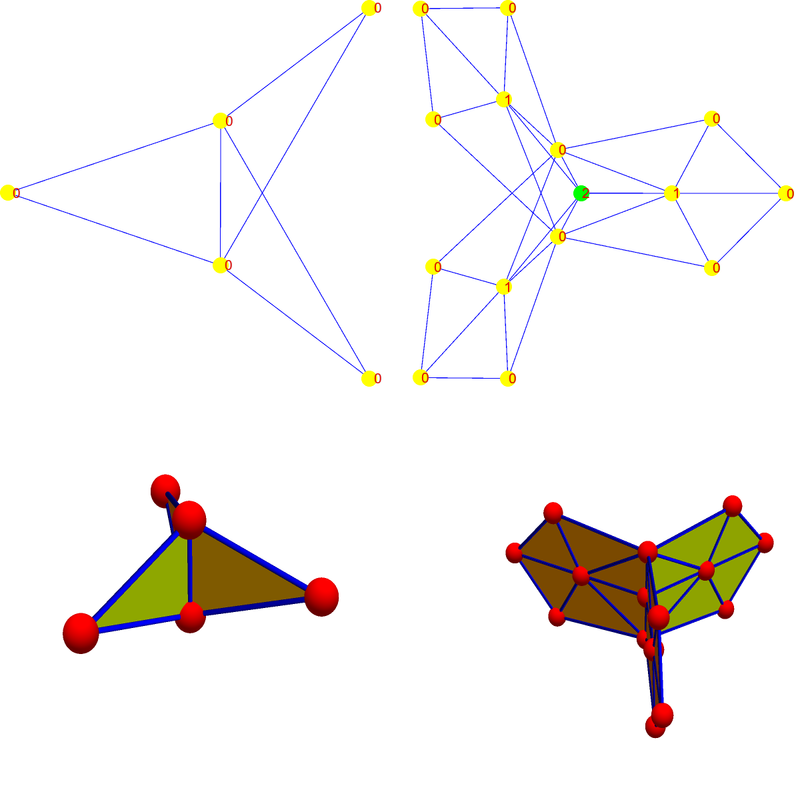 If we chose a subgraph H’ of G’ and connect a new cell x to it leading to a new complex G’+x, then the Fredholm characteristic of G+x gets multiplied by a factor . Note that in the new CW complex, S(x) is the unit sphere in the Barycentric refinement graph of G+x. Proposition: If G is a simplicial complex and G’ its connection graph. If we chose a vertex x in G’ and remove x, leading to the new complex G’-x = (G-x)’, then the Fredholm characteristic of G is multiplied by . Seeing the two propositions together can raise suspiciaon at first. It appears not to be right that both adding as well as removing a cell produces a multiplication by an integer i(x) or -i(x). The solution to the conundrum is that these two operations are not inverse operations to each other except in the case when we stay in the class of connection graphs, where the multiplication factor is 1 or -1 and where division or multiplication is the same. But it has to make sense because the Fredholm characteristic is an integer, and the Poincaré-Hopf index i(x) is an integer which in general is not -1 or 1. So, we can not divide by it. Indeed, i(x) can be zero or larger than 1 or smaller than -1. The proof however will make the story crystal clear. What happens in the first proposition is that we start with a connection graph G’ getting to a complex G’+x which is no more a connection graph in general. In the second case, we start with a connection graph G’ and add up with a complex which is no more a connection graph in general. But in both cases, when either increasing the complex or decreasing the complex, we end up with a situation where the proposition does no more allow to go backwards. Why is the second proposition important? 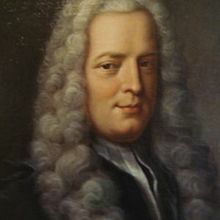 Because of Gabriel Cramer who found an explicit formula for the inverse of a matrix in terms of determinants. This inversion formula is nowadays a bit neglected in courses as it is not a very efficient way to compute the inverse but it is beautiful and explicit and shows that determinants are not only natural but also useful. The formula tells that the (i,j) entry of the inverse of a matrix A is A-1ij= det(A(j,i)) (-1)i+j/det(A), where A(j,i) is the matrix where row j and column i were deleted. For the diagonal entries this simplifies to A-1iidet(B(i))/det(A), where B(i) is the matrix A in which row i and column i were deleted. Corollary (Green function Value): If G is a finite abstract simplicial complex and G’ its connection graph. The Green function value (1+A’)<-1xx is equal to , where S(x) is the unit sphere in the Barycentric refinement graph G1 of G.
This is not a big issue. We can either ignore the sphere spectrum part which belongs to values 0,1,-1 as this comes from refinements anyway. Conjecture (January 5, 2017, still work in progress): Given a graph G which is the Barycentric refinement of a simplicial complex or cell complex. 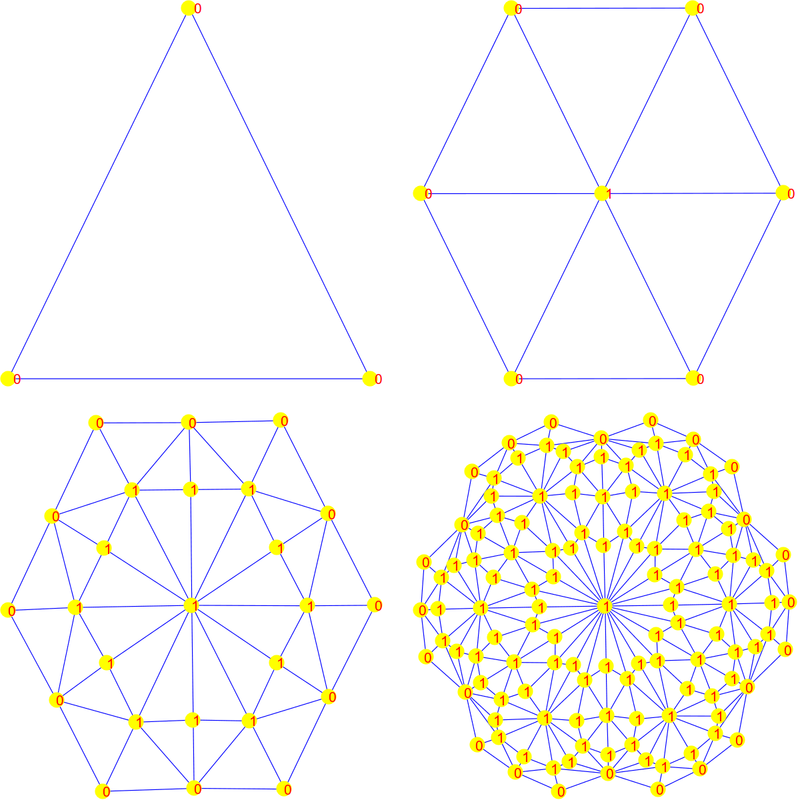 The unit sphere topologies are the same than the sphere topologies of the Barycentric refinement. Especially, the set of Poincaré-Hopf indices of G (=the sphere spectrum of G) is a combinatorial invariant and stays the same under Barycentric refinement. This means that it can not happen that some topology which is present as a unit sphere starts to disappear in the next refinement step, nor is it possible that a new type of unit sphere starts to develop. The statement is quite easy to see for a one-dimensional graph (a graph equipped with the 1-dimensional skeleton complex, this is the situation which most graph theorists in the 20’th century have considered when talking about graphs). The reason is that in that case the degree spectrum the set of vertex degrees encodes completely the sphere spectrum. The reason is that for one-dimensional graphs, the unit spheres are by definition zero dimensional in which case the Euler characteristic of the unit sphere is equal to the degree of the vertex. Now, under Barycentric refinements, we get topologically homeomorphic (again in the classical sense of 20th century topological graph theory) graphs as we just make edge refinements. But in this one-dimensional situation, where graphs are “curves”, also unimodularity is quite simple. In that case also, it is clear what the Green function values are as they describe what happens if we take away a vertex or edge, then we either take a way loops or then add connected components. (*) Analyze the sphere spectrum of graphs in general and show that for already Barycentric refined graphs, the sphere spectrum stays invariant when doing further refinements. For the vertex corresponding to a maximal simplex the story is clear as then the unit sphere is a discrete sphere which therefore has index 1 or -1. For geometric graphs also, graphs for which all unit spheres are discrete spheres, the story is simple. In that case, all new unit spheres are again discrete spheres of the same dimension. For geometric graphs (the discrete analogue of manifolds), the sphere spectrum is quite boring. It is either constant 1 or constant -1. Also for geometric graphs with boundary (the discrete analogue of manifolds with boundary), the sphere spectrum is quite boring. It is 1 or -1 in the interior (again depending on the dimension of the discrete manifold) or then 0, which happens at the boundary where the unit spheres are contractible so that the index is 0. As in the windmill graph seen above, we see that only the case of singularities is really interesting and the quest is to show that the unit spheres at such singularities do not change topology after a refinement. Its not difficult to show for new vertices which originally had been vertices. But the Windfarm graph showed that it had been the edge which produced a new sphere type. I currently have a hunch that only the original vertex sphere remains interesting and that all other spheres close by will be trivial Euclidean type spheres or half spheres. A first step is to show (SG(x))1 = SG1(x) which translates that the Barycentric refinement of the unit sphere is the unit sphere of the vertex in the refined graph. Such a formula of course would prove (*) as Euler characteristic is trivially invariant under Barycentric refinement (we have shown it last year in a fancy way as a corollary of Kuenneth as the Barycentric refinement is nothing else than G x K1 so that we have isomorphic cohomology groups. It is one of the simplest cases of the de Rham theorem, which deals with the cohomology of a product graph. (See the corresponding article). [January 9 update: the proof is now clear: the spheres S(x) in a Barycentric refinement are always the join of two graphs S–(x) and S+(x), where the former is the set of simplices which are contained in x and the later is the set of simplices which contain x. Now we can show that the join operation commutes with taking Barycentric refinements (up to topological equivalence). In the simplest case, when x is a simplex which had been a vertex in the original graph,l then the Barycentric refinement of that sphere is the same than the sphere in that Barycentric refinement (in that case S–(x) is the (-1)-dimensional sphere (the empty graph, which is the zero element in the monoid on sphere graphs defined by the join operation). There are however lots of more spheres. The sphere around an original edge for example is the join of a zero dimensional sphere S– and an other graph S+(x). It is a general fact that the graph S–(x) is always a discrete sphere because the ball S–(x) +x is a simplex. [We have used this exactly one year ago (in this article) to give a Poincaré-Hopf proof of the fact that Euler characteristic of the Barycentric refinement is the Euler characteristic of the original graph: the definition of the Euler characteristic of G is just the Poincaré-Hopf formula in G1 because is the index with respect to the function dim on the vertex set of G1, (which is locally injective and so a coloring on the Barycentric refinement graph G1). ] In any case, to show that the unit spheres of the Barycentric refinement G2 have always the same topologies than the unit spheres of G1 we can use induction in the dimension. The proof also clearly shows why things can fail if we have a general graph G, which is not a Barycentric refinement. The unit spheres S(x) in G1, where x has not been a vertex in G do factor in the Barycentric refinement G1 but this factorization can not be related to a factorization in G.